After several months of use I decided it was time to write a review of Dashlane password manager. 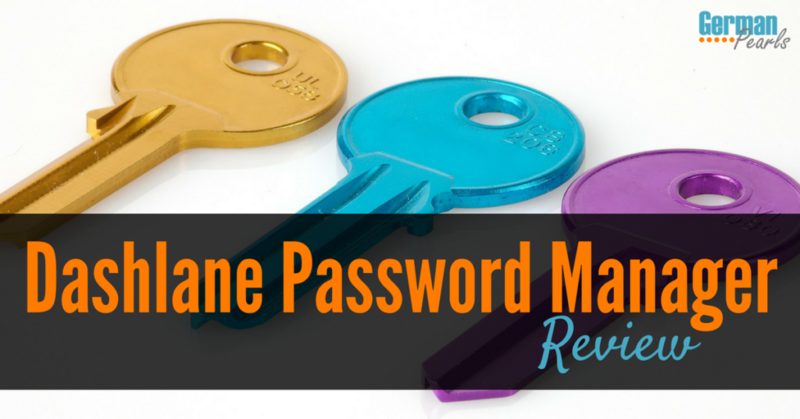 If you haven’t heard of a password manager before, don’t worry, I’ll break down what Dashlane is and how it works. I’ll also show you how I used the Dashlane password manager and my thoughts on it after several months of intense use. If you’ve read my Excel tutorial on how to create a password keeper template you’ll know how I kept track of my dozens (hundreds?) of passwords. For those of you that haven’t read it, I was basically keeping track of them all in a large spreadsheet. So, when I heard about the Dashlane password manager, I didn’t feel the need to try it. After all, I had a password storage system that was working for me. But, something about the promise of saved time and more efficiency lured me in and I gave it a whirl. So, here’s what I think now. A password manager is a program (software, application, app, whatever you want to call it) that stores your passwords for you. There are several password managers available and their features may vary but, typically, they store your username and password information for different websites. They encrypt this information to try and keep it safe from hackers and malware. Most password managers are set up so you access the password “vault” by entering one master password. In the back of my mind I still feel like having my passwords stored somewhere digitally means they’re accessible to hackers. But, I guess that’s the case with my Excel spreadsheet too. I don’t think anything digital is safe from hackers really. So, if this saves me a lot of time and has a similar risk to my spreadsheet, it makes sense to use it. 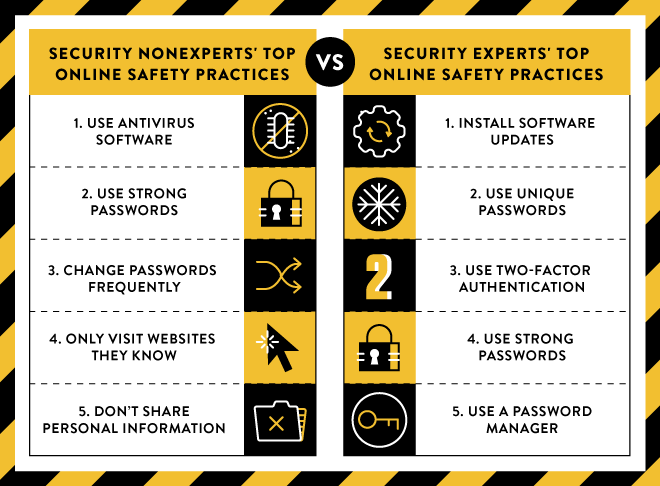 This report, though a few years old, shows that security experts think password managers are a good tool to help keep you safe online. When I came across the Dashlane password manager I did a bit of research on it (as I typically do). It seemed to get good reviews from some big sources (Wall Street Journal, New York Times, USA Today) so I thought I’d give it a try. Before we get into how it worked, let’s go through some of the functionality of the program. Not only does Dashlane store your passwords, but retrieving your login information is quick when you use their browser plugin. Next, go to your favorite websites. That’s it. When you get to a site that requires a login, Dashlane will recognize it, automatically fill in your username and password and login for you. A second or two and you’re in! No typing, clicking, anything. It’s really pretty great. Dashlane can also generate passwords for you. Have you ever been creating a new password for a site and they tell you it’s not strong enough? The site recommends you add a number, a capital letter or a special symbol? Well, the Dashlane password manager can generate crazy complex passwords for you such as: [email protected]%fT. The best part about this password is that it’s really hard for hackers to guess…because it’s random. And, since you have a password manager saving it for you, you don’t need to be able to remember it. Dashlane doesn’t just save passwords for you. 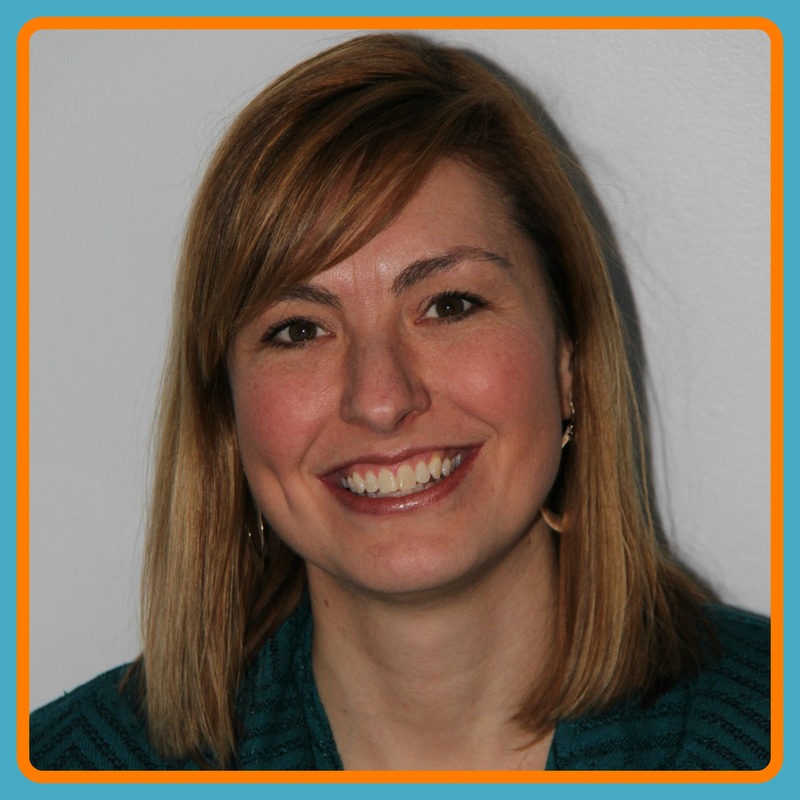 They can save other personal information for you. Name, address, phone, website, business name, etc. You can even save copies of important ID’s within Dashlane. Want to store credit cards, receipts and payment information? Dashlane can do that as well and it’s all locked up in your “vault”. If you’re wondering why you’d want to store personal information such as your address and credit card number in Dashlane this part will explain it. When you go to a website that requires a login Dashlane recognizes the username and password fields on the page and fills them it. Well, when you get to a site that requires your name and address, Dashlane can also recognize these form fields and fill your information in if you like. The same goes for your credit card. This makes filling out online forms, registering for a new site and purchasing items online quick and easy. Just click in the first form field, choose the Dashlane information you’d like to use (ie: if you have multiple email addresses you use for logins) and Dashlane does the rest. If you don’t like how Dashlane has auto filled the form, just edit the entries and you’re all set. This part can really save you a lot of time typing out your address or email address. Dashlane has really saved me tons of time online. 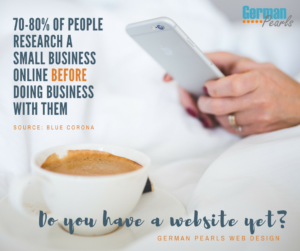 I use a lot of sites to manage this blog and do other online work. I’m not able to login to these sites and get right to work without typing in a username and password, guessing wrong, locking myself out, resetting the password, etc. Or, opening my Excel spreadsheet, finding the correct password, typing it in and logging in. Dashlane has a built in ability to handle multiple logins for the same website. This feature really comes in handy when I do tech work for clients. The auto fill feature for online forms was a bonus I wasn’t expecting. Registering for a new site, typing my address in over and over again, etc is so easy now. I don’t want to live without the auto fill feature again! When you first turn your computer on you type in your master password for Dashlane to enable the features for the rest of the time you’re logged in. When I first started using Dashlane I forgot my master password. As a security features, Dashlane doesn’t know this password and I was forced to reset my account. Again, for security reasons, there is no ability to reset your master password, you have to reset your account. This makes my password information more secure from hackers. The bottom line is I’m pleasantly surprised with Dashlane and have continued to use it. In fact, I’d really miss it if I chose to uninstall it and go back to my old password storage method. If you need to move to another computer you can export your password list or print it out. Dashlane doesn’t offer a password reset due to security reasons. That’s good. But, when I forgot my password I had to reset my account. I lost all my information. Ugh. That wasn’t fun. But, that’s not Dashlane’s fault, I just learned my lesson and now keep my Dashlane password safely stored somewhere else. A few times I didn’t want to login to a site and Dashlane logged me in anyway. I figured out how to fix this later by turning off auto-login setting in the Dashlane program. I’m really pleased with the Dashlane Password Manager and think I’m a convert to using a password manager! I’m really pleased with the Dashlane Password Manager and recommend you try it out – especially given the price – FREE! On a computer? Get the Dashlane for your PC or Mac and your free account here. Or, if you think you’d prefer to upgrade to a paid plan to have your passwords sync across all your devices, go here to get a 25% discount. Prefer to use Dashlane on a smartphone or tablet? Get the mobile version here. Try it out and let me know what you think by leaving a comment below. I’d love to hear your thoughts. Using Dashlane hasn’t been one of the worst experiences I have ever encountered. Their customer service is non existent when you have an issue. How do I know? Over 20 emails to customer service & their [email protected] email & NO response. I know it seems absolutely unbelieveable but I experienced it first hand. Why was I having to email them? The app failed to work a majority of the time. Their upgrades & “fixes” only made it worst. Do yourself a favor & Don’t Do Dashlane! Wow. That sounds frustrating. I didn’t have that experience with their product.